Even though studies show both genders have the same abilities in science, a 2016 study from Colorado State University says women are more likely than men to get discouraged by a particular math class and give up on their dream of a career in science. Pullman Foundation women in science are challenging that statistic, though! There are almost 1,400 female scientists in the Pullman Scholar Community (72% of all our STEM majors). Our Pullman Scholars and Alumnae are neuroscientists, nurses, chemists, research associates, cytogenetic technologists and more! 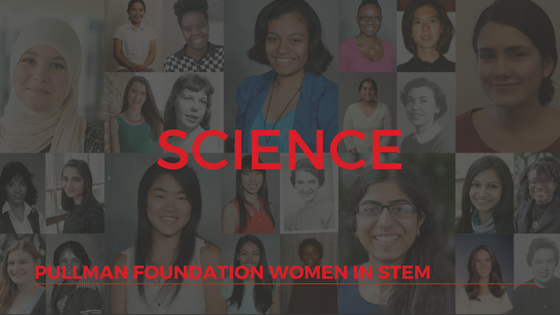 They are a part of the 35.2% of female chemists, 11.1% of female physicists and astronomers, and 48% of female biological, agricultural, and environmental life scientists nationwide. They are the ones that want to find cures, learn how the world works, are treating our families, and trying to save the environment. Science courses and labs are notorious for being difficult, but we have 30 current female Pullman Scholars (75% of all our female STEM majors) taking them right now and maintaining their 3.0+ GPAs. This week you’ll meet some of them and learn about some of the organizations they are a part of or follow. Science on! Read Life as a Biochemistry Major here. Read Life as a Cellular/Molecular Neuroscience and Psychology Major here. Read Life as a Biology Major here.